Ready for Another Revamp of Superman, Batman and Wonder Woman? Reboots, relaunches and reimaginings are all the rage at Marvel and DC, each of which seems to change the origins, powers and even universes of its superheroes on a near-monthly basis. And now, DC Comics brings us something a little… different. Yes, it’s a reimagining of their core Trinity — Superman, Batman and Wonder Woman — but it’s going to be Superman, Batman and Wonder Woman as you’ve never seen them before. Meet Milkman Man, Father Bruce and Wonder Wife, the Wholesome Trinity, courtesy of five one-shot issues from DC’s Young Animal imprint, beginning in January. In “Milk Wars,” DC’s regular Justice League and Doom Patrol take on strange doppelgangers created by RetCo, an interdimensional corporation that repackages reality by rewriting it as stories” for its clients. Milkman Man is an even more upright, uptight version of Superman. Father Bruce has dedicated his life to orphans, while Wonder Wife is a Stepford Wives’ nightmare of a stereotypical 1950s housewife. “Milk Wars,” which will last only about a month, kicks off with JLA/Doom Patrol Special #1, by Steve Orlando, Gerard Way, ACO, Magdalene Visaggio and Sonny Liew, which will be released on Jan. 31, 2018. 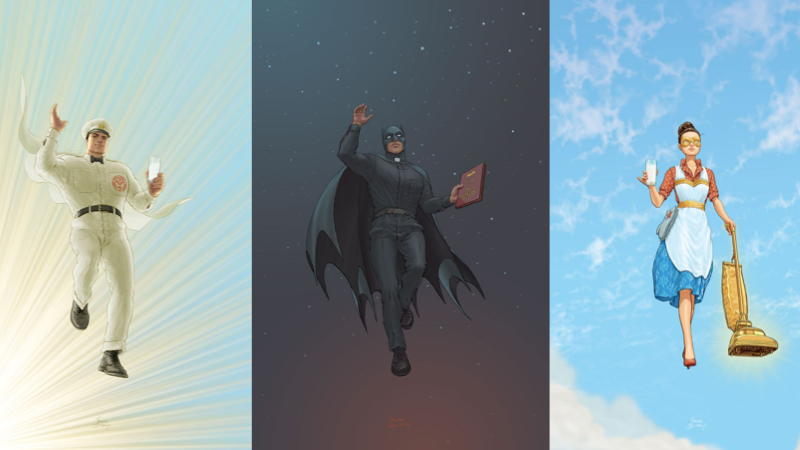 DC Collectibles is releasing The DC Comics Justice League Tarot Cards tomorrow. Designed by Sara Richard, this re-imagining of the cards feature heroes and villains from across the DC Universe in all-new artwork with almost completely new symbology. The new artwork likely means the so-called Little White Book will have directions for interpreting the non-traditional images. I have to confess that the art style is not to my liking… I would have difficulty reading with this deck because the symbology is pretty far off from the standard Rider-Waite decks. DC previously dabbled in the world of tarot with two sold-out editions of The Vertigo Tarot, featuring stunningly beautiful artwork by Dave McKean that made both decks highly sought-after in collectors circles among comics fans and tarot enthusiasts alike. The DC Comics Justice League Tarot Cards carry a list price of $24.95. 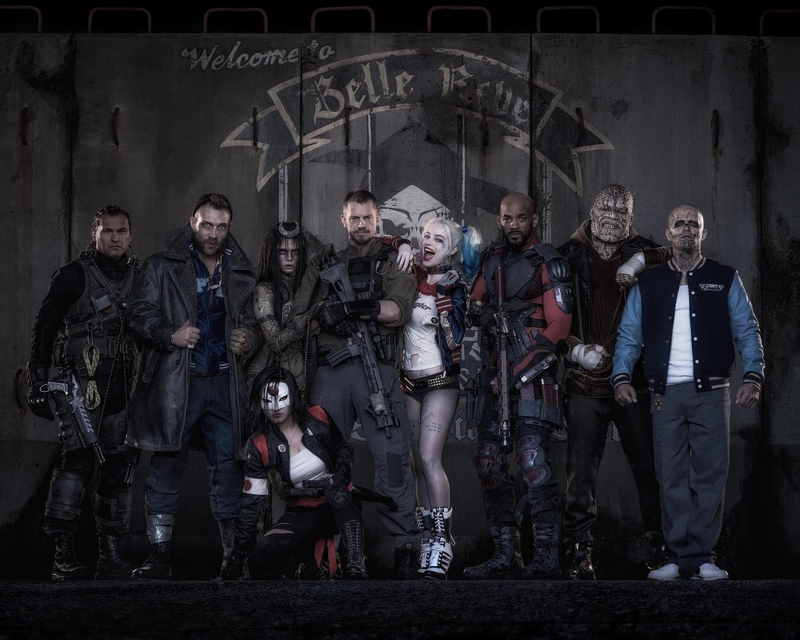 After shocking us with a truly… um… unique image of Jared Leto‘s Joker earlier in the week, the good folks over at Empire magazine have come up with another stunning cover image — for better or worse — from next summer’s Suicide Squad movie. So what, exactly, is this visual? It appears to be a photograph that has been digitally altered with software — what we in the publishing industry call a “photo illustration.” Yes, there has been enough digital surgery performed on this pic to actually attract attention away from Cara’s eyebrows! So who, exactly, is Enchantress? Well, that’s a little more complicated. In the comic books she’s June Moon, a freelance artist attending a costume party at an old castle who stumbles upon a secret chamber where the magical Dzamor empowers her to fight an evil presence in the castle. Reciting the words “The Enchantress” changes her from blonde June to raven-haired Enchantress, and allows her to defeat a minotaur. A few appearances later, she fights Supergirl, and June’s villainous side takes over for good. She mostly labored in obscurity with The Forgotten Villains (she was even whimsically nicknamed “The Switcheroo Witcheroo”), but her profile was raised significantly when DC launched its New 52 comic book line and Enchantress faced off against Justice League Dark. DC Comics simply cannot leave bad enough alone. The Powers That Be are simply compelled to keep making things worse. 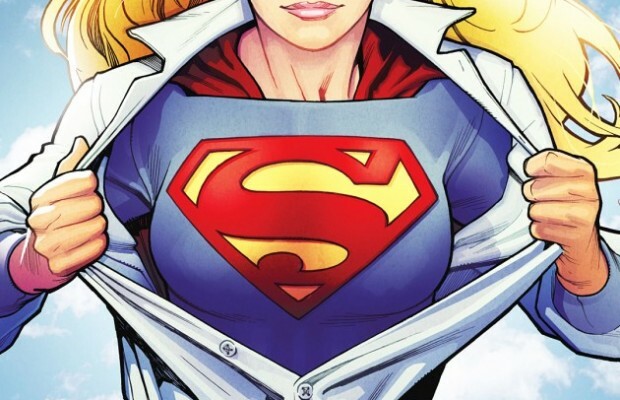 Now, in a mind-boggling move, Superman has been given back the silly T-shirt and jeans he was forced to wear when the failed “New 52” started, and Wonder Woman has… well, it’s hard to tell what’s new with her latest get-up, since her look has been changing so much lately. Let’s just settle for saying it’s as bad as the first time they put pants on her. Not as bad as Superman’s crappy duds, but still. And let’s not even start on the Man of Steel’s haircut.